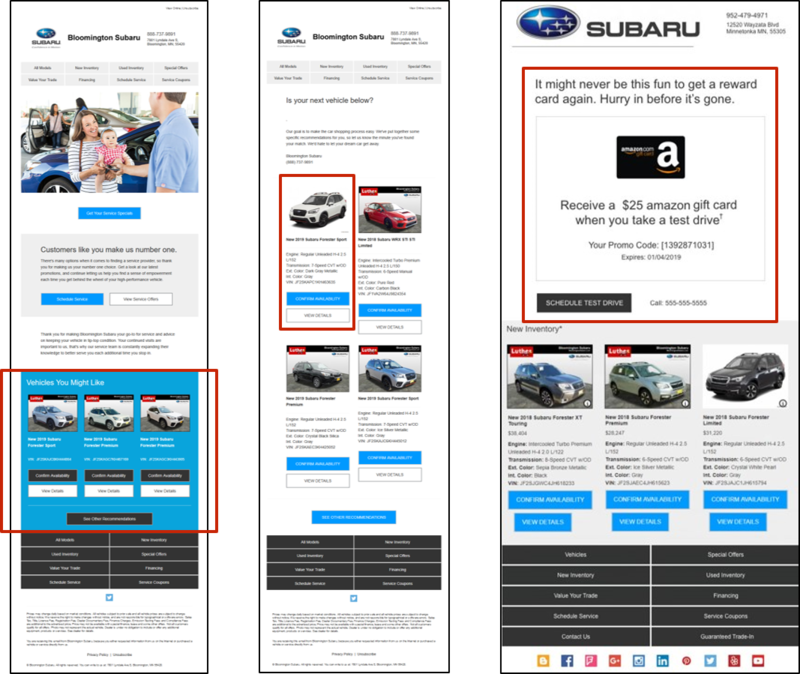 Outsell sends behaviorally-targeted email campaigns that convert prospects into buyers and keeps current customers engaged on an individualized basis across both sales and service. Brand-centric communications gather information from consumers, and every time they click, Outsell learns more about them. 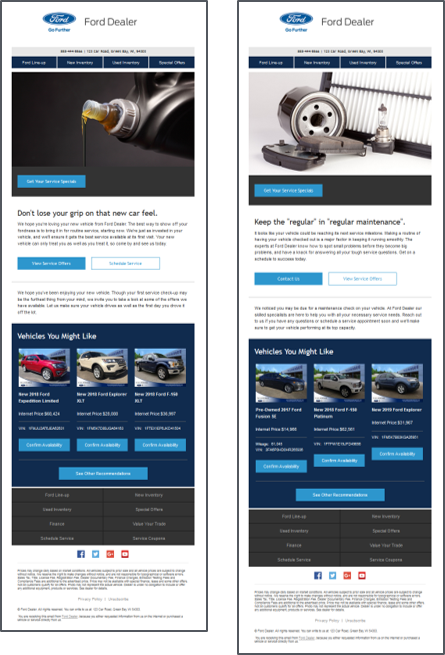 The additional intel of their activity on landing pages and the dealer’s website further informs individualized follow-up. While consumers are always in various lifecycle stages, Outsell helps build lasting relationships by delivering relevant content for both sales and service. 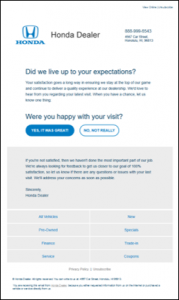 Instead of sending consumers what you think they want to see, their behavior dictates what is fed into their inbox so they only get what they are interested in. Outsell’s AI Marketing Automation gives an Amazon-like experience and has proven more effective with an increased conversion rate of 157%. 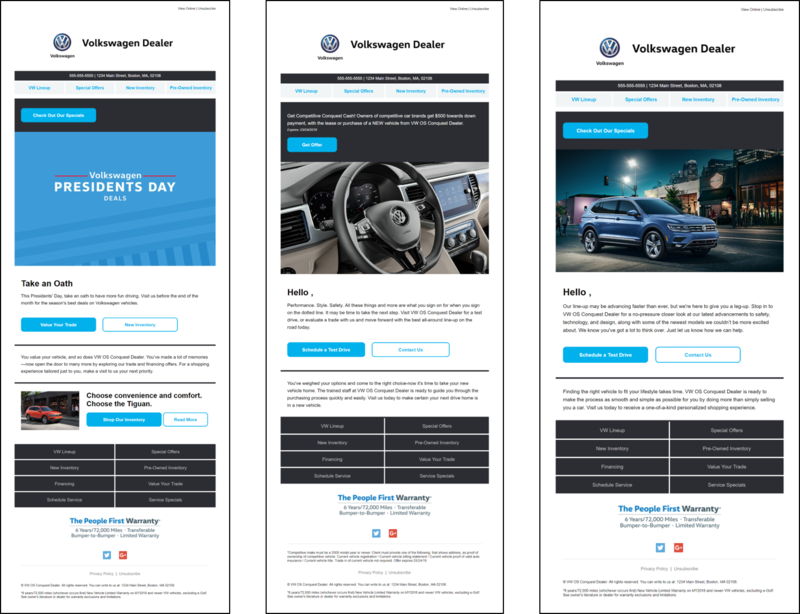 Outsell can drill down all the way to the VIN level, including vehicles from your lot in your communications that each consumer is most likely to be interested in. 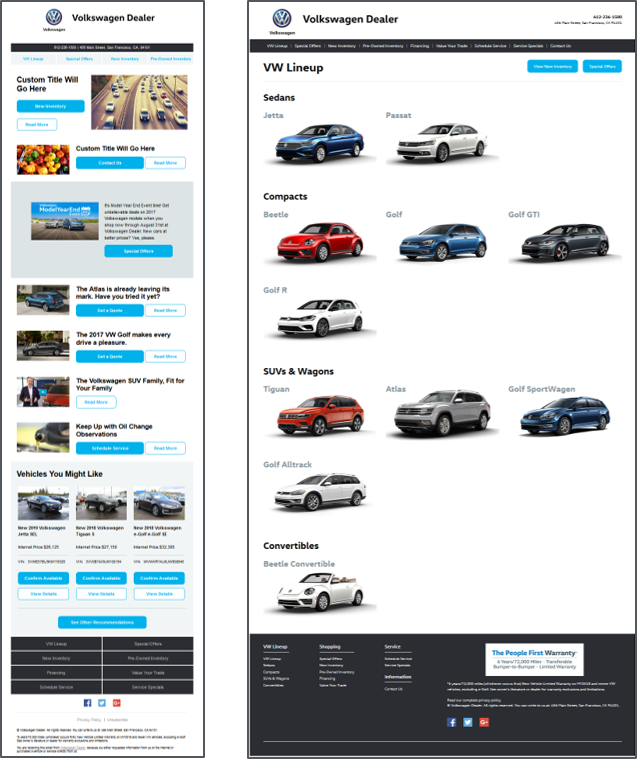 You can choose to boost vehicles that have been on your lot longer, but you’ll still only micro-target to the in-market shoppers likely to purchase that vehicle. 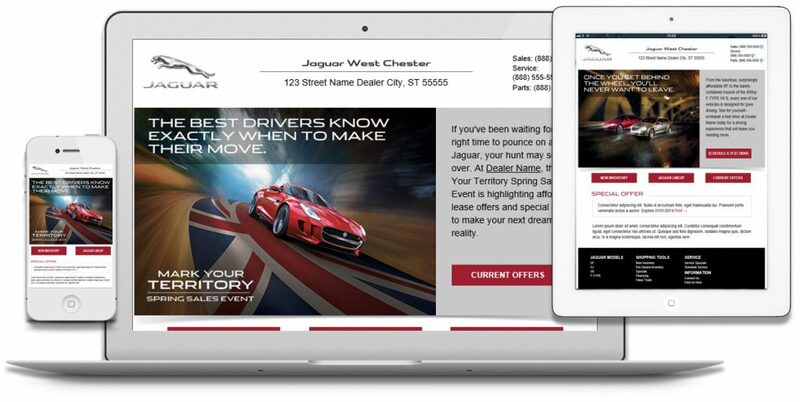 Outsell also delivers Private Offers such as dynamically adding incentives for test drives or purchases towards service or new vehicle sales to existing campaigns, creating an even more compelling reason for consumers to buy or lease from your dealership. Records are de-duped against your database to bring in active in-market shoppers and servicers. Outsell then identifies interested prospects that inform multi-wave communications with an initial trigger, consideration phase, and buyer phase, along with service conquesting. The lifecycle doesn’t stop at purchase but continues with reputation management. 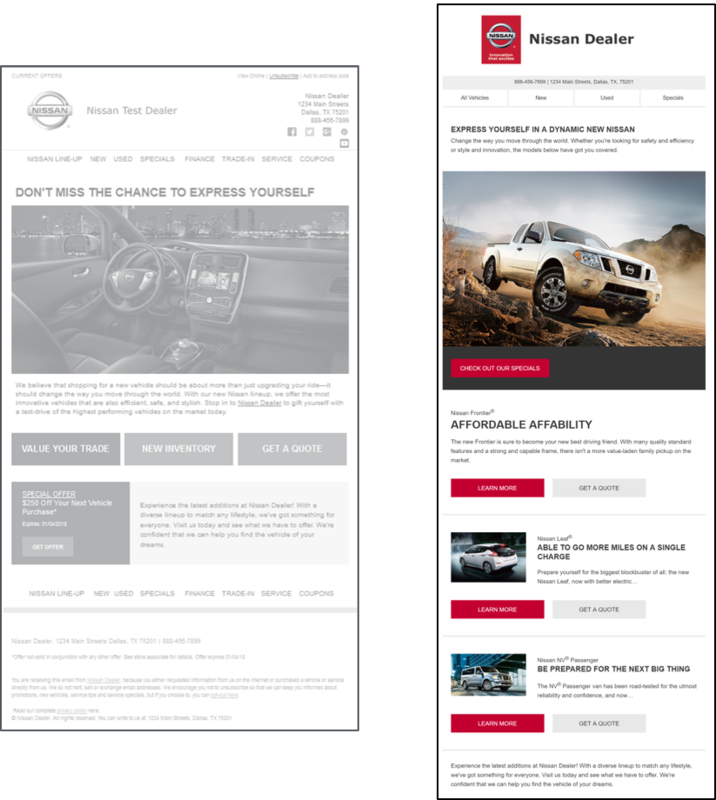 Outsell drives optimal effectiveness with responsive design across all devices.